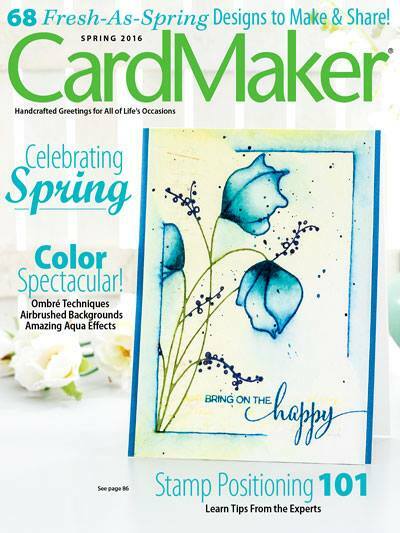 Each month the designers at Calling All Sistahs bring you loads of inspiration for cardmaking and a heartfelt message to take care of yourself. Let me start by telling you that I am a Breast Cancer SURVIVOR. I found the lump on my breast because my momma taught me to check myself monthly. I had one smart momma!!! Because she drilled that one act a month into my head....it saved my life! I had a double Mastectomy, 6 rounds of chemo and a year of Herceptin treatments. and that's what it is all about! So, my inspiration for this month is Pink...of course! I used the Loving Thoughts Fri-die to make the flowers from an old dictionary page. Leaves are stamped and die cut from the Pretty Posies collection. 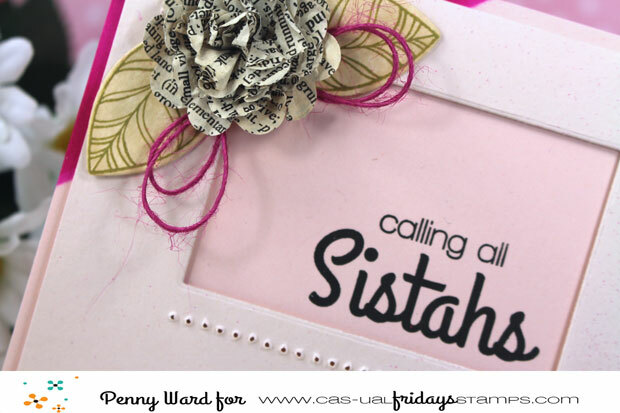 Sentiments from the Calling All Sistahs stamp set. 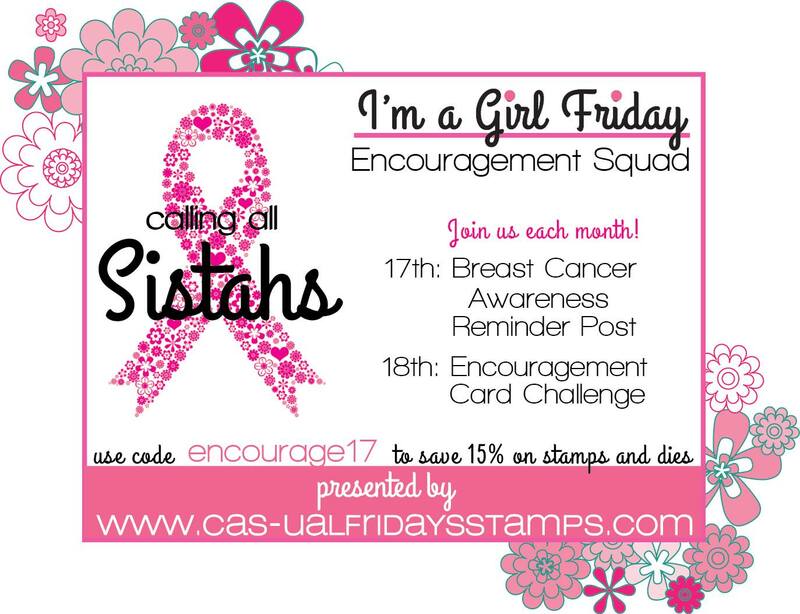 Make sure to check out what the rest of the design team has created for your viewing pleasure at Calling All Sistahs. 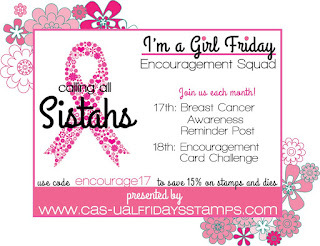 Calling All Sistahs monthly CHALLENGE. Want to make a card just like this one? Use the Coupon Code encourage17 for a 15% discount. Hooray for early detection and survival! So glad you are here with us today, Penny, because of your smart mama! p.s. Love the flower you made from dictionary pages!!! Good for you for listening to your smart Momma!! Love this card and the monthly warning .. time for me to make an appointment!